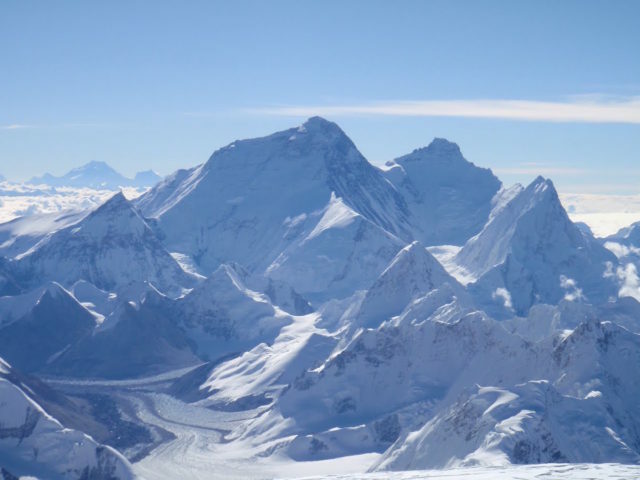 The leader guide for Cho-Oyu climb is the current leader of Russian national team, who summited K2 twice without O2, summited Everest twice without O2 as well as some other 8000+ peaks. 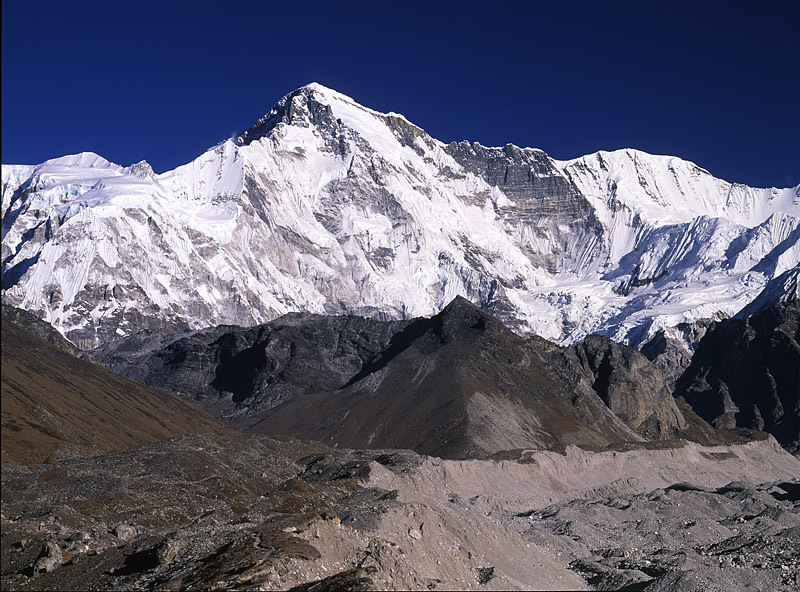 Cho-Oyu is considered to be the easiest of the 8000m summits in the world. And this is the reason why we recommend climbing Cho-Oyu to those climbers, who have no previous experience of ascending these altitudes but would like to try it. Climbing Cho-Oyu is an excellent choice for the first experience of 8000m ascent, as the route isn’t technically difficult, and it presents a good chance to try a new level in climbing. 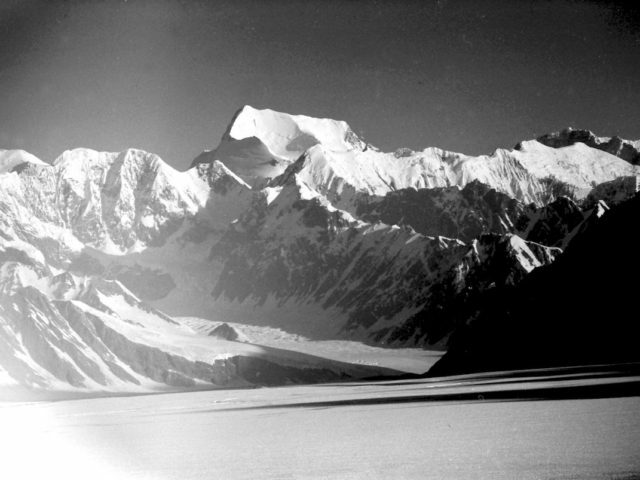 This summit is also considered to be a good exercise before Everest attempt. To make Cho-Oyu climb safer, we provide our clients – upon their request – with a container of oxygen along with the necessary equipment. They may be useful on the day of summiting. On that day the group will be accompanied by sherpas and a leader guide with vast experience of climbing Cho-Oyu and other similar routes. The weather in the area is usually stable in spring as well as in autumn. However, we carefully observe weather forecasts in the internet and carefully select the most suitable period for acclimatization hikes and Cho-Oyu climb. The Cho-Oyu climbing expedition beings in Kathmandu. Since members of the group may be arriving by different flights, we can arrange several airport–hotel transfers. The first several days we’ll be busy obtaining Tiber visas and getting prepared for our departure, along with sightseeing in Nepal’s capital. After spending two days in Kathmandu, we will leave for Zangma in Tibet, or we can fly right to Lhasa (though this scenario is more expensive and depends on the political situation in China). We will have two rest days for acclimatization on our way, before we get to Cho-Oyu’s base camp at 5100m. Then we will spend a day or two at base camp, after which we’ll begin our Cho-Oyu climb with the help of yaks, heading towards advanced base camp (ABC). Usually, for summiting only ABC is used, while BC is needed only for acclimatization. 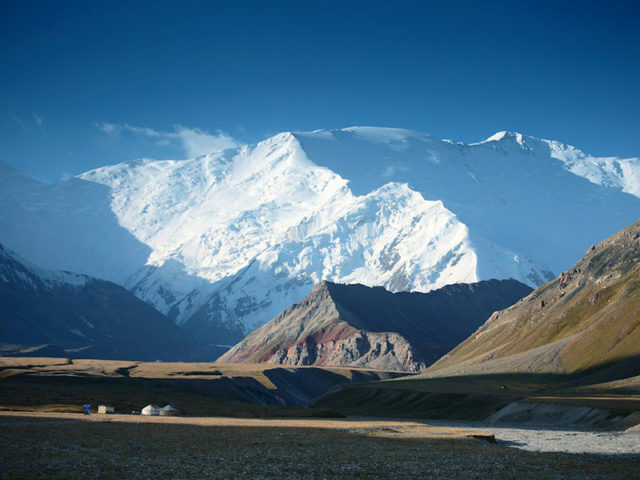 Climbers and sherpas usually set up three more camps on higher altitudes. In ABC and BC you will be served three meals prepared by Tibetan and Nepal cooks in the specially equipped kitchen-tents. There you can get also hot water to wash yourself and boiled water to fill your thermos. There are also special dining tents with tables and chairs. In camps on higher altitudes climbers cook their meals themselves on gas stoves, and water is made from snow. Of course, our guides are always there to help you cook a meal and melt some snow. After climbing Cho-Oyu, the group comes back to Kathmandu to take their flights back home. The expedition will have only medical oxygen. In case you want to have oxygen on the summit day, please inform us when booking the tour. Day 14 – day 35. 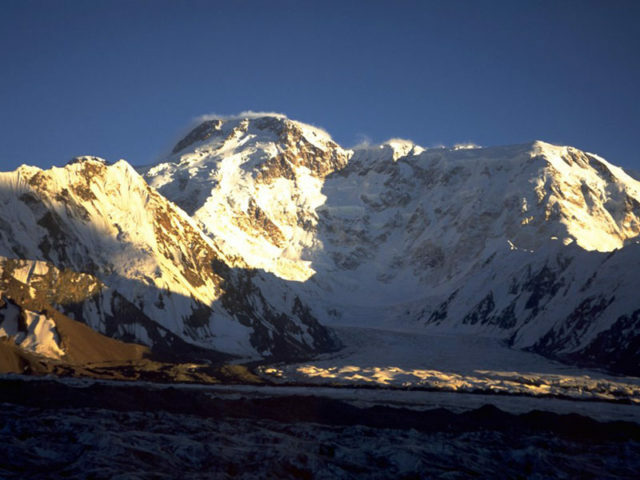 Period for climbing Cho-Oyu (Cho-Oyu climb takes 21 days). More concrete time-table depends on the condition of the group’s members and is due to be corrected according to climber’s wellbeing and the weather. One mountain guide for 3-4 people. In case of a group with more than 7 people there will be additional sherpas. Accommodation for 5 nights in Kathmandu at a good hotel with breakfast and full board. Transportation of equipment (no more than 40 kilograms per member) from BC to ABC and back to BC. Equipment allowances, insurance, daily wages, food and tents for cook, kitchen boy, liaison officer and interpreter. Nepalese Sherpa cook and kitchen boy. Generator or solar panel at advance base camp for charging and light. Food and fuel supplies at base camp and advance base camp. Conservation and high way charges. Garbage deposits. Mask, oxygen and regulator system above Advance base camp (it is 450 USD per bottle, along with Poisk system mask and regulator at 250 USD). Other than Kathmandu-Lhasa international flights. Reentry visa for Nepal (that can be obtained at the immigration office in Kodari). Hotel stay in Kathmandu after the 5 nights planned by the program. Such personal expenses as drinks, laundry, telephone and Email, postage, etc.